The High Court in Northern Ireland has chosen to depart from the “robust” Strasbourg approach to service providers and their liability for comments hosted on their sites. Such liability, said the judge, was not consonant with the EC Directive on E-Commerce. This was an application on behalf of the defendant to vary and discharge orders of injunction dated 27 September 2013 made in the case of both plaintiffs. One of the injunctions restrained “the defendant from placing on its website photographs of the plaintiff, his name, address or any like personal details until further order.” These interim injunctions were awarded pursuant to writs issued by the plaintiffs for damages by reason of the publication of photographs, information and comments on the Facebook webpages entitled “Irish Blessings”, “Ardoyne under Siege” and “Irish Banter” on 11 September 2013 and on subsequent dates. • The anticipated future breach of right to life pursuant to the Human Rights Act 1998. • Breach of his rights not to be subjected to inhuman and degrading treatment under Article 3. • Breach of his right to privacy under Article 8. • Breach of the Data Protection Act 1998. • Misuse of private information at common law by the defendant. One of the plaintiffs, J20, complained that a number of articles on Facebook included the use of a photograph or photographs of himself which were taken and used without his authority. He described the photographs as appearing on “Republican webpages” hosted by Facebook Ireland Limited. One of the photographs of himself had been superimposed on a huge Union Jack with the title “Meet Sectarian Parade Organiser”. This had been posted on a number of Facebook pages with the tagline “Another Loyalist Bigot Exposed. He organised more Loyalist parades and protests than you can shake a flag at, he is as bitter as the day is long. #sectarianscumbag”. J19 had made a similar affidavit referring to him appearing on a number of what he described as “Republican websites hosted by Facebook Ireland Limited”. The main photograph showed a picture of him standing beside a large Union Jack which has “Lower Shankill” written across it. There was inset a photograph of a man in a balaclava standing beside a coffin. The clear inference was that the man in the balaclava was him. Both plaintiffs complained of harassment and threats from members of the public following these publications. Member States shall not impose a general obligation on providers, when providing the services covered by Articles 12, 13 and 14, to monitor the information which they transmit or store, nor a general obligation actively to seek facts or circumstances indicating illegal activity. Facebook could not comply with the order as it stands because it is impossible for it to prevent its users from accessing the website and posting this content. Facebook has over 1 billion monthly active users worldwide in over 200 jurisdictions. It is not reasonably possible for Facebook to monitor all the content placed upon the website to ascertain if any one piece of information relates to the plaintiffs as opposed to someone else with the same name. Gillen J upheld the defendant’s application to discharge the injunctions. The judge was prepared to approach the issues on the basis that the presence of the webpages concerned did create a real risk of infringing the plaintiffs’ rights to freedom from inhuman and degrading treatment under Article 3 of the Convention and their right to respect for private and family life under Article 8. Nevertheless the orders sought in this case were too imprecise and would lead to a “minefield of litigation” over whether or not the defendant had complied with their terms. McCloskey J’s ruling in XY v Facebook Ireland Limited  NIQB 96 demonstrated that such orders require precision. Defendants must not be left in a state of tormented ignorance of precisely what is required to be done. Monitoring all the possible websites could impose a disproportionate burden on the defendant. The judge considered the decision in the European Court of Human Rights Delfi v Estonia (Application No. 64569/09). In that case, it will be recalled (see my previous post on this case) the Strasbourg Court “robustly determined” that an internet news portal could be liable for offensive comments which were posted below a news article about the decision of an Estonia ferry company to change the route of a ferry line. In essence the court said that Delfi could have foreseen that their story would spark fierce debate including offensive user posts and that they could have been more proactive in ensuring the appropriate monitoring tools would be available if necessary. In short the prior automatic filtering and notice and take down system used by the applicant company did not ensure the sufficient protection for the rights of third persons. The court believed that the difficulty in establishing the identity of persons who wrote the anonymous comments was so material that holding Delfi responsible for those posts was the only viable way to attribute liability. The court was of the opinion that efforts to identify the person responsible did not outweigh the societal burden of transferring the liability or the comment to the on-line platform. However, Gillen J found a sense of “shrinking relevance” of Delfi to the instant case; Delfi in any event might well be fact sensitive and indeed subject to an appeal to the Grand Chamber. Furthermore, Strasbourg did not consider the relevance of the E-Commerce Directive in the Delfi case, whereas the UK has transposed the EU Directive into its national law with the E-Commerce Regulations 2002. The courts in this country have concluded that the practice of websites monitoring comments (anonymous or otherwise) and swiftly removing defamatory ones when they are brought to their attention has so far been sufficient to help most companies avoid liability: Tamiz v Google  EWCA Civ 68 (see my post ). Time will tell whether the line of reasoning of the ECHR in this case is the start of a new movement towards a broader monitoring obligation of intermediaries or if it is only applicable to the specific events in this case. Facebook faux pas and discliplinary proceedings: when do human rights come in? 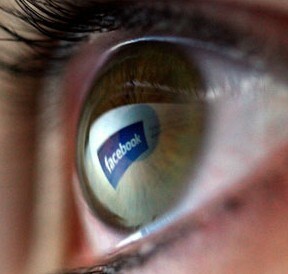 Are Facebook and Twitter making criminals of us all?